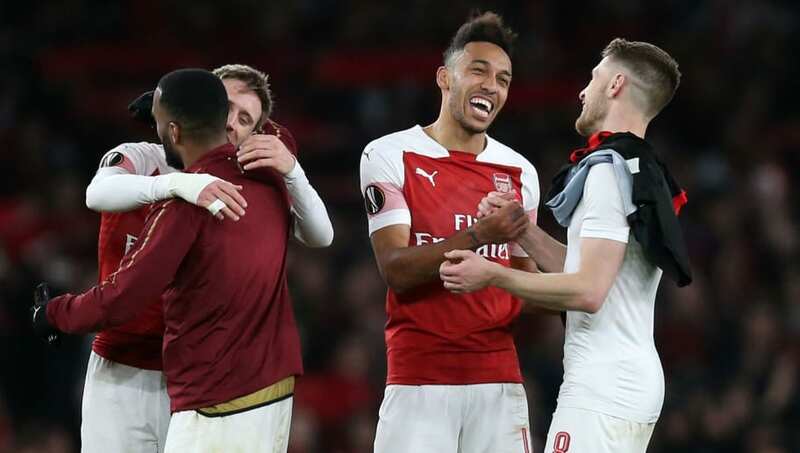 ​Arsenal welcome Napoli to the Emirates Stadium on Thursday night in the first leg of their Europa League quarter final tie. ​Arsenal ​Leno; Maitland-Niles, Mustafi, Koscielny, Sokratis, Kolasinac; Torreira, Ramsey, Guendouzi; Aubameyang, Lacazette. ​Napoli ​Meret; Hysaj, Koulibaly, Maksimovic, Ghoulam; Callejon, Allan, Ruiz, Zielinski; Mertens, Milik. ​​Arsenal's emphatic home form will undoubtedly give the Gunners belief heading into this match. Their fans will be expecting a response from the weekend's defeat and will be hopeful their European adventure can continue into the semi final phase. ​Napoli will take inspiration from Everton's nullifying of the Arsenal attack and will be hoping to do the same at the Emirates in midweek. The return of Insigne could cause trouble for the Gunners' back line, provided the Italian is fit enough to make an appearance.